Looking for more information? Check out my Qeepsake Series. How Much Does Qeepsake Cost? What Questions Does Qeepsake Ask You? All images provided by Qeepsake. I have an awesome exclusive for you today! With the recently published Qeepsake Mobile App now ready for download, we reached out to Qeepsake CEO Jeff McNeil to see if he could answer some questions for moms and dads out there about the Qeepsake program and the new mobile app. *You may recognize Jeff and Qeepsake from Season 9 Episode 6 of Shark Tank that aired on October 29, 2017! What is your vision/hope for Qeepsake? 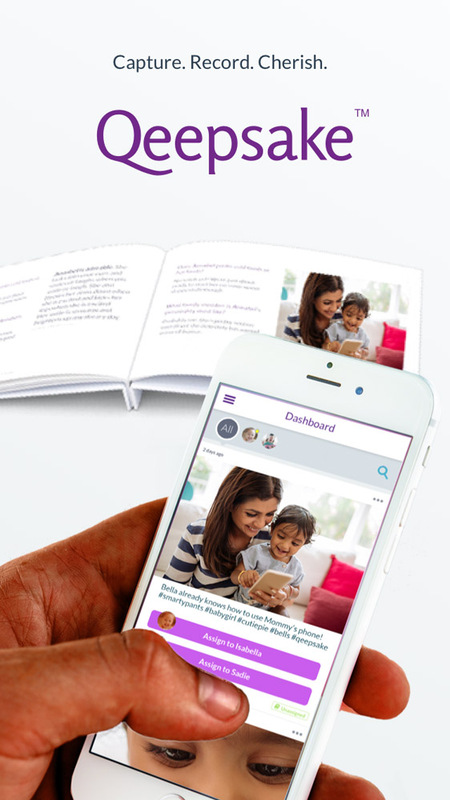 We built Qeepsake to allow parents to ultimately become more connected and engaged in their kids lives. 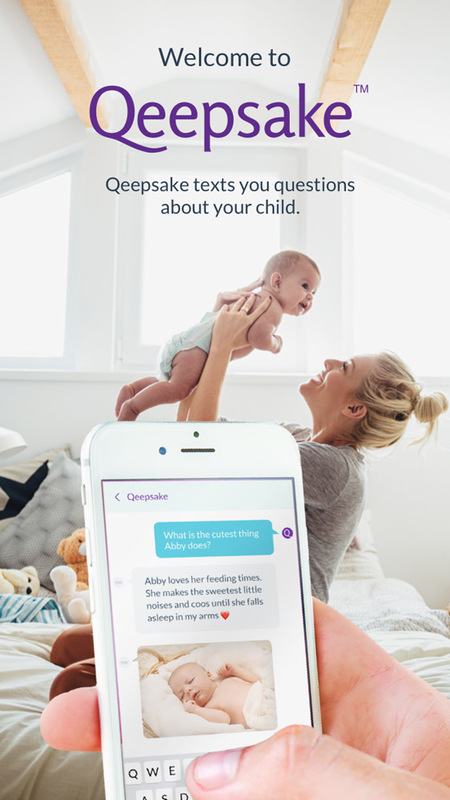 How does Qeepsake help moms out there? To be clear, while most of our members are moms, we believe Qeepsake is something that dads can and should be using as well! By giving parents a really easy way of capturing memories about their kids, and by giving them prompts (questions) to get them writing, we’ve made journaling accessible. Parents have a feeling of accomplishment when using Qeepsake—something that’s hard to realize sometimes in the chaos of parenting. How does the app help further the mission of Qeepsake? The new Qeepsake mobile app was designed to give parents an easier way to access their Qeepsake memories so they can edit and expand on them. 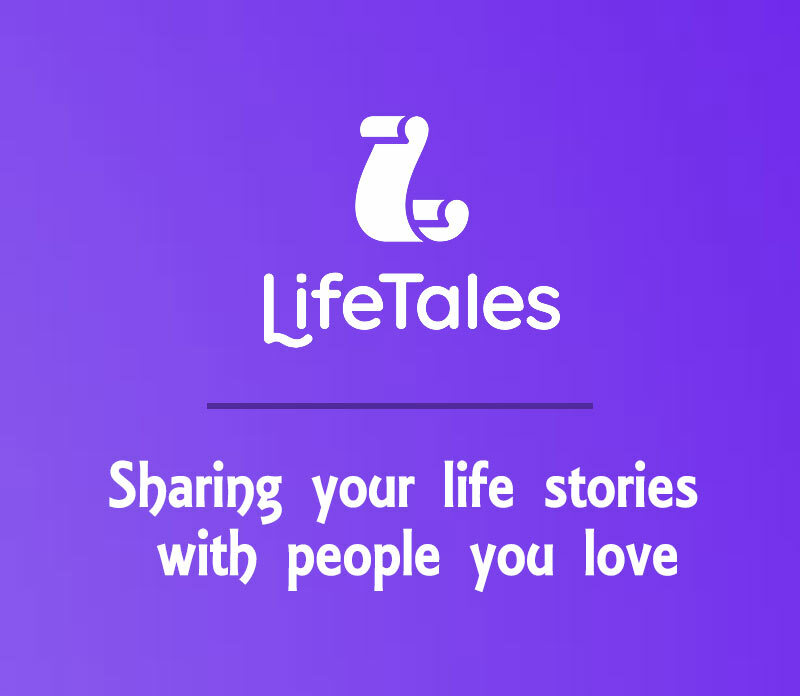 With the app we’ve also now given parents an easier time of answering questions they missed, and in adding photos to their journal entries. An app has been long overdue for us frankly, but we’re really proud of what we’ve built yet eager to address early feedback (positive or negative). Are users able to do anything in the app that they can’t do with Qeepsake online? The app will in the future allow for more functionality than we can accomplish over text message, but for now our focus is on giving parents that much-needed way to more easily view, edit, and expand upon their existing Qeepsake memories. Are users able to do things with Qeepsake online that they can’t do in the app? We’re working to bring over all of the functionality available on the website that we can, bringing it into the mobile app for ease of use. 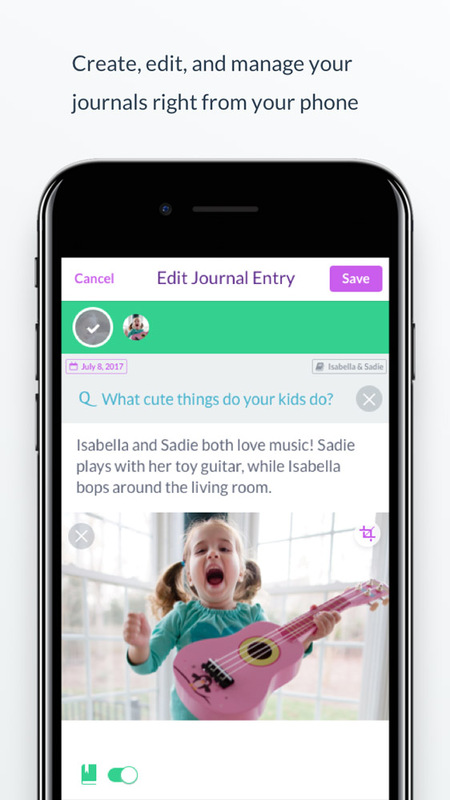 Can parents manage multiple journals for multiple kids in the app? Adding another journal is a feature that is currently only available on the website. 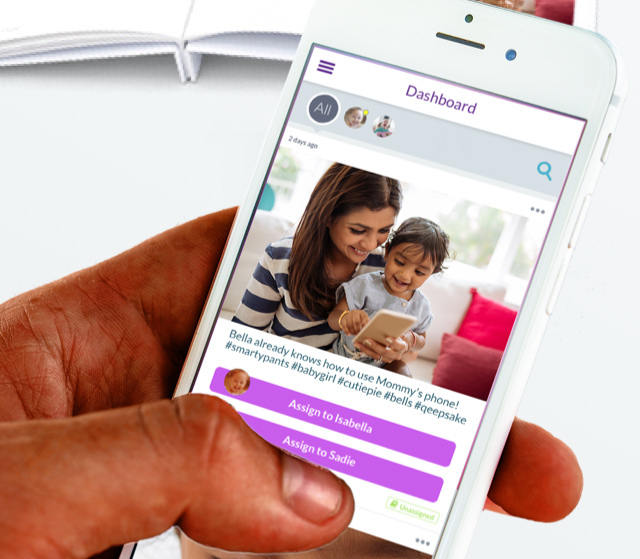 Parents with multiple journals can indeed manage them via the mobile app. What future features can we expect to see in the app? We’re working to increase the quality of our “free” plan so that more parents have access to using Qeepsake daily. Where can Parents download the app? The Android app is in testing right now and we’re hopeful to release it in the next month. 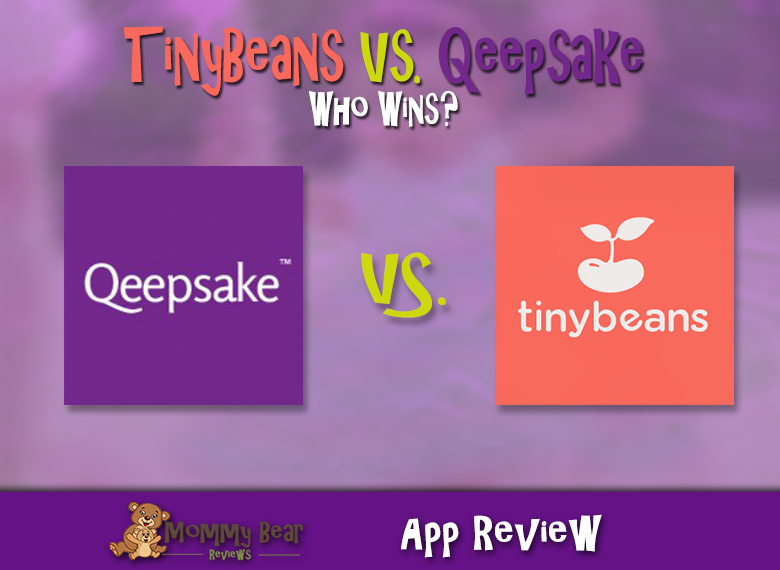 Is Qeepsake just for parents with children, or can expecting parents also utilize the Qeepsake platform? How? We have recently released maternity journaling. Parents can now sign up for Qeepsake with either a child’s date of birth or due date. Expecting moms (our pregnancy journaling is just for moms at this point) can receive maternity-specific Qeepsake questions before the baby arrives. What message do you have for parents on the fence about trying Qeepsake? Qeepsake is free to use and requires no commitment to try it out. Your data stays private and secure. You’ll be surprised how one text message a day about your child can add up into something meaningful over several weeks or months. “We’re still working to roll out more features to the Lite/free memberbase”, so stay tuned for more great features ahead! 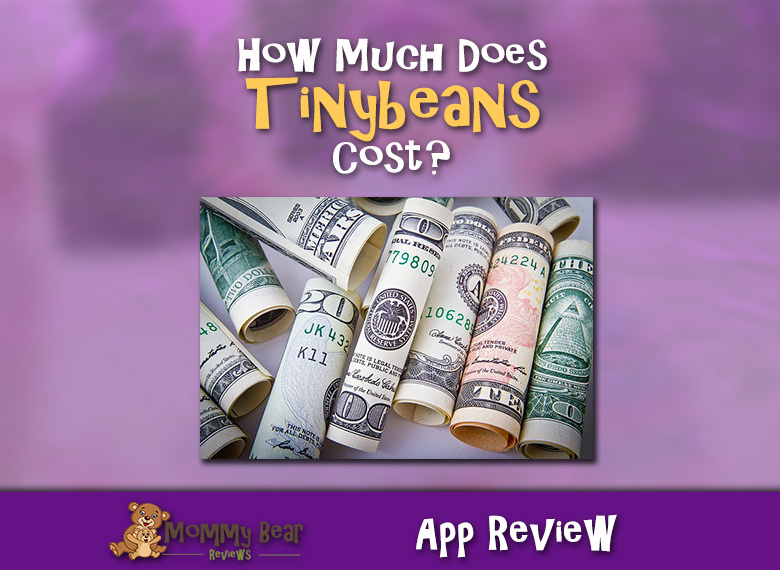 Follow Mommy Bear Reviews on Pinterest! Stay up-to-date with the latest contests, news, reviews and more! I have been checking out the new app for awhile now, and I must say that it is a great addition to the Qeepsake product. You can easily change your Account, Journal, and Question settings within the app, and see your plan details. Most importantly you can see what questions you missed answering, and what questions don’t have photos with them, which will make the book much better if you opt to get one. I am on the Qeepsake Plus plan, so I am able to go back and answer questions that I missed in the past, and being a busy parent it is easy to miss some. It’s nice to go back during some down time and answer my questions about Little Cub. My full review for the app will be coming soon, so stay tuned! Have you had a chance to check out the Qeepsake mobile app yet? What are your thoughts? Sound off in the comments below! I love the app! It is a little glitchy, but I just uploaded and organized entries from my daughter’s first 2 months. It was very easy to do. 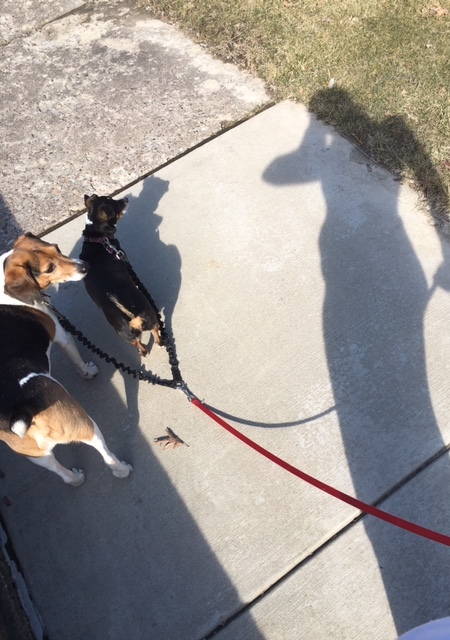 Double leashes for your fur pups are neat!